A common question during interviews as well as performance reviews is: what is your leadership style? Although this is a pertinent issue for a variety of reasons, one of the core, underlying issues of leadership style pertains to how well a leader can adjust his or her style to maximize the results from those he or she supervises. As the market returns to some form of normality, talent will be harder to attract and retain. Consequently, as employees have more options outside of their current employer, a greater burden will be on managers to accommodate different preferences and needs. While the recession afforded managers less accomplished at using different approaches the opportunity to continue with more singular approaches, expectations have changed. With that idea in mind, I recently reviewed a survey by HCS on the use of multiple leadership styles. I was curious about to what degree do managers possess this critical trait of a repertoire. 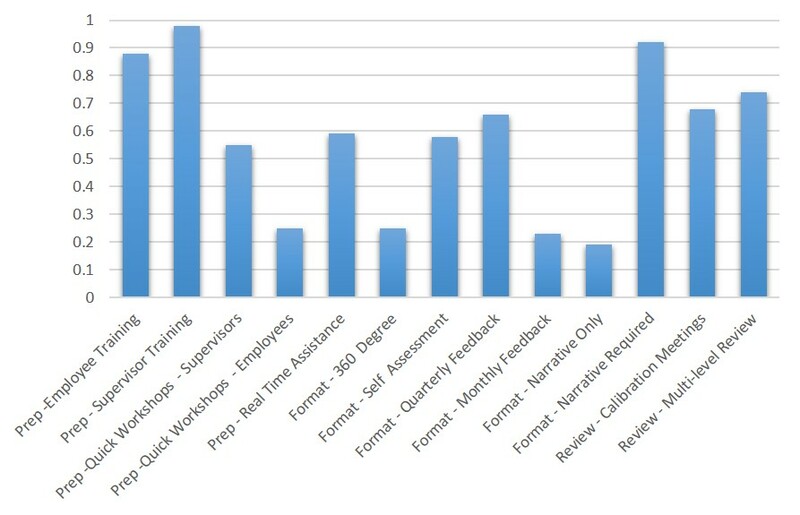 Figure 1 summarizes the results of their 2015 survey of 1,500 employees, managers, and executives in multiple industries. 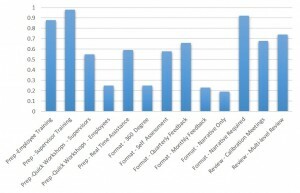 The survey asked employees to identify the number of styles used by their supervisor, supervisors to rate themselves, and executives to rate the supervisors that report to them. As expected, the results differed by level. More than 80 percent of respondents indicated that their manager possessed one style, while two styles equated to less than ten percent of respondents. Across industries and organizations, respondents agreed that most supervisors have one style. 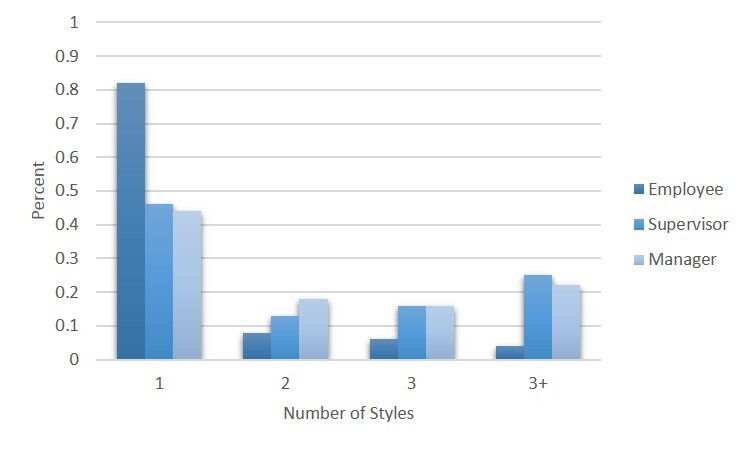 The self-responses from the supervisors were more generous in assessing styles. Approximately 25 percent of supervisors felt that they possess more than three styles.Similarly, managers that oversee the same supervisors signified that roughly 22 percent utilize three or more styles. • Like many areas, perception differs from reality depending on level. As the recession pushed organizations to practice care in spending while attempting to hang on to their highest value talent, pay for performance experienced a renewal. Faced with limited resources and increased demand for efficiency, leaders appealed to their higher level performers to do more with less based on the assumption that a targeted approach would be less costly and would make sure the money benefited those most valuable to the organization. Now, as the economy improves, organizations seem to be questioning if pay for performance actually worked. Meaning, did it actually help to retain and reward the best talent in the organization? Similarly, if they failed to implement it during the downturn, many are asking if it is too late to join those already providing performance-based rewards in order to increase competitiveness in the future. In all fairness, the recession did not spawn pay for performance and the mixed results of its use predates this decade. However, like other crises, leaders tended to risk change when experiencing sudden or dramatic uncertainty. Approximately 75 percent of leaders felt the program accomplished its stated mission. In most cases, the stated mission involved recognizing and rewarding high performers. Slightly less supervisors agreed with the question, while a little less than a third of employees agreed. These results would not be atypical of other leadership initiatives that come from the top down. Most pay for performance programs experience a communication as well as execution gap between levels. The next two questions focus on the communication and understanding elements of the program. Not surprisingly, leaders possessed a high level of confidence that employees understood the system, while supervisors were less confident at approximately 56 percent. On average, about 38 percent of employees agreed that they understood the tool and how compensation related to it. Similarly, leaders and supervisors felt confident that employees not only understood the program’s tools, but also know what actions and behaviors result in a higher score and more compensation. Supervisors appear the most confident. Given their role in ensuring that employees know how to improve, this result is not surprising. The last question addresses the outcome of the program from a process standpoint: did the right people receive the reward? Similar to the other three questions, employees feel that the intent did not match the outcome. Roughly 31 percent of employees indicated that the reward went to the biggest contributors. Some might argue that the results point to the inadequacy or even inappropriateness of pay for performance as a method of recognition and reward. Although it could be an element in that debate, I would argue that the results point more to a lack of appropriate appreciation of the complexity of managing human performance. Like most elements of management, ensuring that results reach potential is not easy. In the next posting, I will explore some of the actions of those that were more successful with their programs. After years of uncertainty in the labor market, things seem better. According to the Bureau of Labor Statistics (BLS), the first quarter of 2015 possessed more than five million job openings. To put this in context, the last time the US labor market approximated this level of openings was first quarter of 2001. So, as we enter this “better market” seeking to gain the best talent possible, what do potential candidates want? Clearly, compensation matters and serves as a core element to any offer for employment. Not only is more money one of the key ingredients for enticing a candidate to join a new organization, many desire to recoup their losses in income advancement form during the recession. While job security is important to most of us, employers might assume that job security became a less critical element during the downturn as employees were socialized to a more unstable environment. The most recent generation to enter the workforce only knows uncertainty, while a significant percentage of current managers were promoted and led during this economic crisis and share a similar mindset. However, it is interesting to note that job security scored second only to compensation. Put simply, even among those that have not known stability, it matters. Forty-one (41) percent of those surveyed still considered job security as a key reason to join an organization. Growth and development occupy the third grouping among responses. Most of us recognize that being part of a “learning organization” assists with attracting and retaining key talent. Capable employees want to not only be good at what they do, but also learn new things. 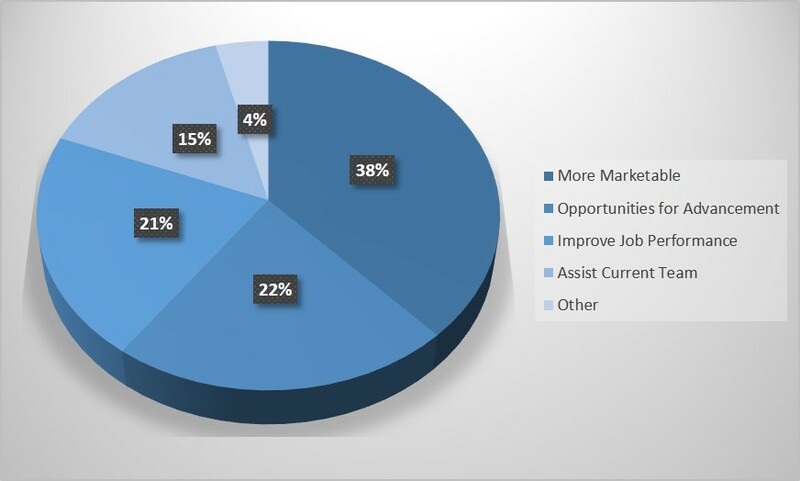 A recent HCS survey (Growing Talent 2014) explored motivations for learning and found that developing more marketable skills held first place: 38 percent of respondents (see Figure 1). This is not surprising given the level of uncertainty in the market over the last seven years. Gaining more marketable skills not only improve external market possibilities, but internal ones as well. Similarly, opportunities for internal advancement encompassed the second most reoccurring category with 22 percent of respondents, while improving job performance accounted for 21 percent of responses. Assisting the team occupied the last option and garnered about 15 percent of responses. Challenging work appeals to all of us. As a key predictor of engagement as well as satisfaction, the work needs to challenge as well as fulfill an employee. A fulfilled employees feels they have made a contribution to the organization, team, and customer. Reputation continues to grow in importance as the Internet increases the availability of information about employers. Over the last few years, more than a few employees have launched discussion groups centered on what like as well as dislike about their employers. Employers have responded with alumni groups and other outreach to past employees. Clearly, this is an area that is going to grow in importance in the coming years. Finally, time-off still matters. Although not a big predictor of retention, the availability of time off still matters when the employer is courting the candidate. When considering your next offer, remember pay is not the only motivator. Most of us at one point or another provided career advice to someone. It might be a friend, coworker, sibling, or child that wanted to better map out their future while maximizing the value of their skills and abilities. However, one might argue, how can you provide that kind of advice today when the world is so complex and ever changing. Moreover, as the world becomes more interconnected through not only transportation and communication, but also increasing levels of education and business acumen, competition grows and requires us to reinvent who we are and what we do. Although this may seem overwhelming, the employee-employer as well as the contractor-employer relationship based on providing mutual value. The real key to responding to the aforementioned changes pertains to having the skills, abilities, and experiences that employers find most valuable. I ran into a past client in the Atlanta airport this week and we talked about this very topic. We discussed how tough the job market is for new college graduates and he shared a profound thought with me. He made the argument that the market has changed, but still values the most those categories of skills that have been paramount for a long time: specialized trades, sales, and management. He defined trades broadly as any specialized skills that uniquely qualify someone to successfully complete a set of similar tasks. That would include diverse, but specialized occupations, such as plumbers, builders, surgeons, nurses, accountants, information technology developers, mechanics, engineers, consultants, and designers. Sales encompasses anyone, regardless of the industry that induce others to buy products or services. The management skill area pertains to anyone that can manage and lead people to accomplish a set of common goals or outcomes. Moreover, as would be expected, the combination of these skills only amplifies the rewards. What does the data show? In the most recent Bureau of Labor Statistics summary of the highest pay jobs, occupations requiring specific medical expertise represent 14 of the top 20. The remaining highest paying jobs include chief executives, engineers, engineering managers, IT managers, marketing managers, and air traffic controllers. Similarly, US News and World Report ranks health care occupations in seven of their top ten with information technology rounding out the other three. 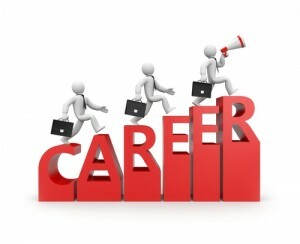 Several career planning sites listed non-health related occupations only outside of the top 20 of most rewarded and fastest growing jobs. the gap between supply and demand is especially acute in certain metropolitan areas, where the average vacancy for STEM workers takes months to fill. So, you need to give advice for those seeking to plan or change a career, having a trade, inducing others to buy, and leading others seems like fantastic advice. Most of us grew up assuming we would know what we wanted to do when the time came, follow that path and gain the training and education that we needed, and realize our dream by working our career in our chosen profession until we retired. Although this may present a simplified view of the reality of previous generations, career planning of the past possessed a little more predictability than it does today. According to the Bureau of Labor Statistics, the average worker stays at a job for 4.4 years. However, the workforce’s youngest employees are projected to average closer to 2 years per job and work in multiple careers. As a result, workers need to have a flexible set of skills and broad experiences, if they wish to be competitive in a faster moving environment. Although there are a variety of factors lowering the average time at an employer, key change is the rise of considerations of job fit. Clearly, employees have used the first six months or even more to assess the “fit” of a job in the past, but, now more than ever, employees make a determination more quickly and feel that a poor “fit” is a valid reason for changing jobs. A 2014 survey by HCS of 1,000 employees in five industries found that approximately 55 percent of new hires make a determination of fit in the first six months. The HSC results indicate that a decade ago the percentage was closer to 44 percent. In other words, a new hire is making his or her determination faster. Figure 1 captures the results from 2014. Obviously, a variety of factors could be behind this difference: labor market, demographic, societal, or economic change. A few of the factors that appear to have impacted the results the most include: rise of a knowledge worker-centered economy, more readily available job information, greater employee concerns with working in a culture of engagement, more emphasis on work-life balance, and greater acceptance of moving between jobs. This last issue may be bigger than we realize. Over the last several decades, perceptions among employees and employees alike shifted on how we look at success. Previously, spending years with the same employer demonstrated stability, commitment, and implied performance. However, with the migration to a more transient model of workforce management, stay somewhere too long equates to a negative characteristic due to a lack of ambition and potential stagnation. In some ways, the solidarity among the perceptions and attitudes of employers changed. When competing for talent, one organizations loss becomes another’s gain. 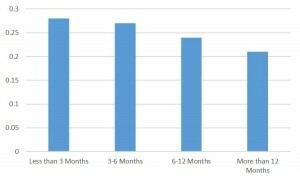 What does a concern with fit and the decreased time for determination mean for us as employers? • We need to have a culture that matches the type of employees we wish to recruit and retain. • We need to customize our on-boarding to match the needs and expectations of our new employees. • It is not enough to get them in the door. Each new day requires us to give our employees reasons to come back. I recently had a conversation with a colleague regarding how the concept of “being nice” varies across people. In our more connected, over-engaged, and fast paced world, it is easy to become impatient or even irritable and let the “niceties” go when so many other things press on us. For example, think how easy it is to be gruffer when we wish employees would get the instructions right the first time, staff would complete their work on time, or people would move a little faster in the grocery aisles. Our discussion arose from a debate over how long an employee has to be with the company before they warrant a going away luncheon. We both agreed that the nice thing to do would be to have a luncheon, regardless. However, most of our coworkers argued it was too soon or not needed in any circumstances. Some might argue that in the past the golden rule played a bigger role in our mental calculus. People focused more on their behavior predicating how they will be treated by others. Although falling short of accepting a something similar to a system of karma, most saw the world in a time of less connectivity as being more connected at a human level. Today, it our ever more connected world, actions and words circle the globe in a click of a button. Very few actions, events, or feelings go unnoticed by someone. An article on Cnet.com this week reminded me of how connected things really can be (http://www.cnet.com/news/developer-curses-at-man-on-subway-meets-him-again-in-job-interview/). A Monday morning, London commuter when another traveler was in his way shoved the man and cursed him as he pushed past. Although we have all have those moments of frustration and anger, it is easy to forget that the little things do matter. The commuter later that day attended his scheduled job interview for an IT development position and was shocked to find that the man he shoved on the train was his interviewer. Although the interviewer commented that the candidate failed to be a match, surely the commuter’s attitude played a role in the decision. Given the connectivity of our world and the fact that we all have bad days and say things we wish we could change, what can we do? As leaders, we have to remember that we are constantly being observed and analyzed. Every action that we take impacts perception, engagement, and outcomes. In the most caustic environments, predicting the moods and the appropriate responses become a cottage industry in the workplace. Even in more healthy environments, what we say and how we act enhances or undermines productivity. Consequently, we have to think before we act. As employees, we all depend on each other and an enemy today may be an important ally or teammate tomorrow. With organizations, we should give those going away lunches since being nice equates to giving a good feeling to someone that may be a future client, customer, or reference. Most of us know the feeling of having to strengthening our resolve to do something that we dread. As a student, it may be completing homework that holds no interest to us, attending a class that lulls us to sleep no matter how much caffeine we consume, or spending the evening with an unwanted guest. As adults, the sources of dread many times only expands. The workplace holds its share of dreads, including work assignments, interaction with the boss, or team meetings with no real purpose other than to waste time and inflate egos. While it is easy to point to motivation when recognizing desirable outcomes, it also plays a role in helping us overcome the undesirable moments that we have to push forward if we want to be successful. Given this duel importance, you would think that motivation skills would top the arsenal of things that a typical manager or leader has access to and utilizes. Nevertheless, most experiences point to an awareness of the importance of motivation, yet a lack of skills and application. Moreover, most of us believe that the best method of motivating someone is money. In other words, we assume that monetary rewards will help us influence individuals to exhibit the behaviors that we desire. Increasingly, research is finding that money may afford some short term change in behavior, but the most may be greater than we think. So, let’s talk a little about motivation. What is it? 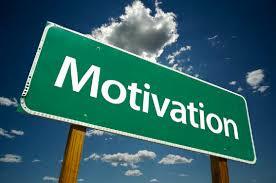 According to Deckers (2010), motivation encompasses the process whereby a person is moved to take action. The process begins with an unfulfilled need that creates a sense of tension that leads to drive. The drive results in behavior to reduce the tension from the need. As most of us know, incentives are key to accomplishing the desired outcome since the two become directly linked together. What are the sources? The sources of motivation arise from internal (intrinsic) and external (extrinsic) factors. Some of the internal sources include evolutionary prompts, psychological states, emotional cues, self-esteem, and relative experience. External sources typically involve incentives and goals. For those of us that lead, if we could unlock the formula to motivate people, we would do that. However, research demonstrates that individual response to internal and external factors vary, considerably. While some may be motivated by money, others might desire recognition of their peers, personal satisfaction, autonomy, or emotional validation. Most of as leaders look to money as a motivator since it is easier to understand than more internal factors to influence behavior. Although ease of application should surely play a role in managing motivation, outcome should be just as, if not more important. As Frederick Herzberg made clear, how we feel about our work has more to do with outcomes that how we are rewarded. In other words, most of us can be “bought” to do work we do not want to do for a period of time, but it is unlikely we be exceptional at someone we hate for the long term, regardless of the rewards. Research repeatedly demonstrates that money assists with attracting and retaining people, but loses it impact very quickly at influencing their behavior. Recent work by David Rock and Jeffry Schwartz found that autonomy, status, fairness, and relatedness pay larger roles in successful motivation. A 2012 study by Galaxy Research found that only 22 percent of employees were motivated by money and bonuses, while 26 percent gained motivation from peer support and interaction and 22 percent from challenging duties or learning new things. One of the most comprehensive examinations of pay and motivation was conducted by Tim Judge reviewing 120 years of research to synthesize the findings from 92 quantitative studies that combined data from over 15,000 individuals and 115 correlation coefficients. 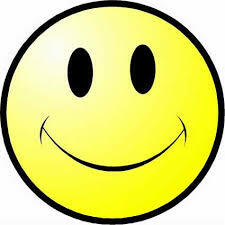 The combined result found that pay and satisfaction possess a very weak correlation, approximately .14. So, what happens when we focus on extrinsic rewards besides not always receiving the outcome we desire? A big bi-product can be reduced intrinsic motivation. Edward Deci found that regardless of the reward type, extrinsic rewards reduce intrinsic motivation and cumulative motivation. Specifically, he found that for every standard deviation increase in reward, intrinsic motivation for interesting tasks decreased by approximately 25 percent. When the employee knows the actual value of the potential reward, intrinsic motivation decreases by about 36 percent. What does this mean? Basically, monetary reward is one method of influencing behavior, but there are hidden costs. In addition, the benefit to the organization can be much greater when we address those more intrinsic factors that require us to understand those that work for us. We all have our favorite customer service stories. For some of us, it might be lack of scruples of our local automobile repair shop, the horrible services of a restaurant, the cattle herding mentality of an airline, or completely inefficient and disorganized operation of the cell phone store. Regardless of the perpetrator, one bad experience tends to taint our view of that organization and in some cases, the industry as a whole. Although almost every organization brags about its commitment to customers and their satisfaction, the results vary. 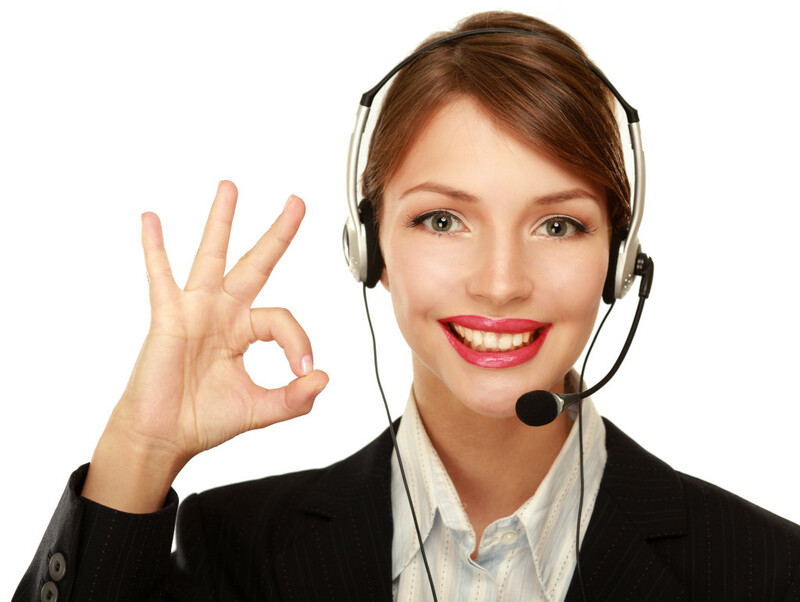 NewVoiceMedia recently found that poor customer service results in an estimated $41 billion is loss to US companies. Other estimates place the losses due to poor customer service at approximately $83 billion. Moreover, most estimates of loses predict that they will rise as more consumer behavior arises from social media. Today, more than any other time in history, I can share my dissatisfaction with a product, service, or organization almost immediately. In a matter of seconds, I can post a review or comment that might be read by millions of other potential shoppers. A recent story in the major media demonstrates the degree of connectivity. Recently, when a customer called to cancel cable service due the need to reduce their family budget, the customer service representative sent the customer to a retention specialist who sought to convince the customer to not reduce their service. When the “specialist” fails to arrive at the desired outcome, he or she changes the billing name of the customer to “A**hole Brown” from Ricardo Brown. After the customer’s wife complains to a blogger, the story goes viral. A day after, the story is on numerous websites Mrs Brown has the number one story on CBSNews.com and does interviews with Fox Business and CNN. All of sudden an inappropriate joke embarrasses the largest cable company in the US. Read more about the events at http://www.cbsnews.com/news/spokane-washington-woman-updates-on-comcast-ahole-debacle/. • What we say and do really matters. Going back to NewVoiceMedia, their study estimates that 93 percent of customers will take action when receiving poor service. •People have the tools and the motivation to punish those that refuse to provide the service expected. Up to 44 percent of consumers take their business elsewhere when unhappy with the service they receive and 89 percent have done just that in the last year. Almost as damaging, 34 percent have posted a negative review online. •Customers have been told they are “king” for a long time and now they really are. Once having a negative interaction, 58 percent of customers refuse to buy from that company again and 50 percent would tell friends and colleagues not to use the business either. We need to make sure that our staff work from the premise that every phone call, interaction, or concern is the most important thing on their plate. Customer service cannot be a sideline, but a mainline of our business. Even with internal services, the customer is key. One of the struggles underlying our efforts pertains to the fact that millennials are the most studied and analyzed generation in history, yet we still tend toward overgeneralization when describing them. The media and other “snapshot” mediums paint a very one dimensional and simple picture of a non-material, socially conscious, electronically connected, and pampered group. • Myth No. 1: Millennials place high value on social media. • Reality: Millennials use social media, but they do not trust it as much as other sources. • Myth No. 2: Millennials are motivated by money. • Reality: Money matters, but not as much as opportunity. • Myth No. 3: Millennials would rather collaborate than compete. • Reality: Millennials are the most competitive generation. • Myth No. 4: Millennials rely on their peers to get work done. • Myth No. 5: Millennials want to jump from organization to organization. • Reality: Millennials want different experiences, not necessarily different organizations. What do these results tell us? Basically, millennials recognize the value of opportunity, need new challenges and experiences, seek to standout, and want the freedom to design their own path. By nature, millennials encourage organizations to be more dynamic in their internal and external operations. A recent, 2014 survey by HCS captures the differences between millennials and other generations when considering workplace dynamism. Figure 1 summarizes the results in a sample of 80 organizations in a variety of industries. In all four categories, millennials possess more of an interest in the cumulative interest of those in other generations. The largest gap between groups appears in job sharing. The latest generation is not afraid to learn new things and to gain new experiences. Participating in high risk projects occupy a close second place in the survey results. 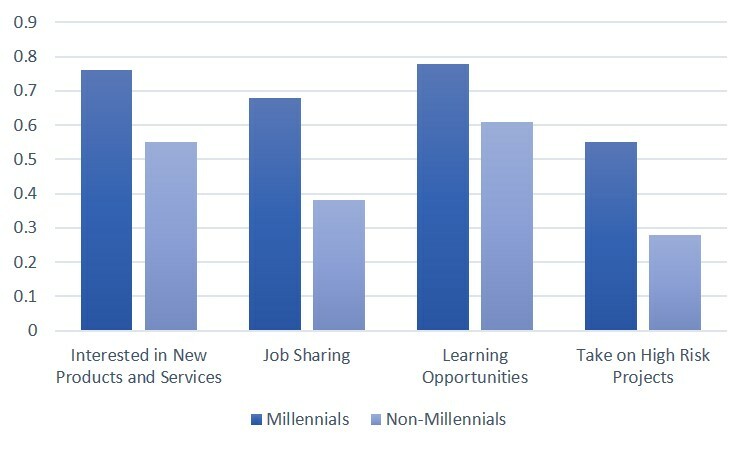 Even the smallest difference (learning opportunities) speaks highly of millennials since the level of interest stands out as the highest of the four categories at 78 percent. What does this tell us? We owe it to our employees and our organization to make sure we are going beyond the simple stereotypes and leveraging the values and attitudes of this key group of team members.